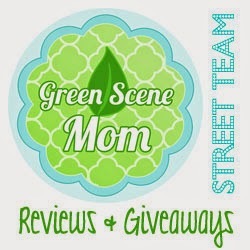 Trying To Go Green: The OriginalTM Dish Drying Mat Review & Giveaway US & Canada 3 Winners!!! The OriginalTM Dish Drying Mat Review & Giveaway US & Canada 3 Winners!!! Today's review is from Original Dish Drying Mat I was sent their mat in the color red to try out. The OriginalTM Dish Drying Mat is the new solution to the age old tradition of placing dish towels on the counter when hand washing pots, pans, dishes, and glassware. XL - 18" x 24"
For best results, allow The OriginalTM Dish Drying Mat to thoroughly dry between uses. Frequently machine wash with like colors in cold water using liquid detergent, and before first use. Tumble dry low. Do not iron. Do not use bleach, fabric softener or dryer sheets. The OriginalTM Dish Drying Mat should not be used as a pot holder, oven mitt, or hot pad. We have a dishwasher but I like to wash the larger items and pots and pans by hand. I always tend to get water everywhere. Now when I use this mat there is no water!! Dry socks every time. Then I just hand it to dry by the loop. I love this and it is very convient. Now lets get on to the giveaway! 3 winners will win a mat each US & Canada can enter!! I would pick the cream! Thanks!